Titan Missile Museum, Green Valley, Arizona. When the SALT Treaty called for the de-activation of the 18 Titan missile silos that ring Tucson, volunteers at the Pima Air Museum asked if one could be retained for public tours. After much negotiation, including additional talks with SALT officials, the Green Valley complex of the 390th Strategic Missile Wing was opened to the public. Deep in the ground, behind a couple of 6,000 pound blast doors is the silo itself. 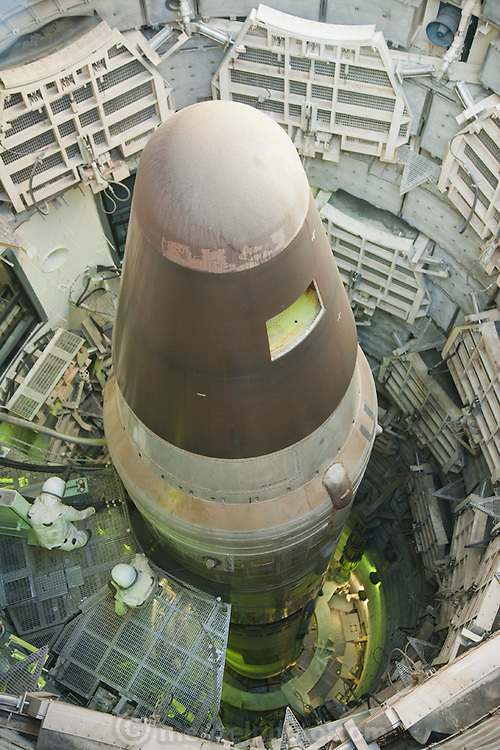 The 110 foot tall missile weighed 170 tons when it was fueled and ready to fly.